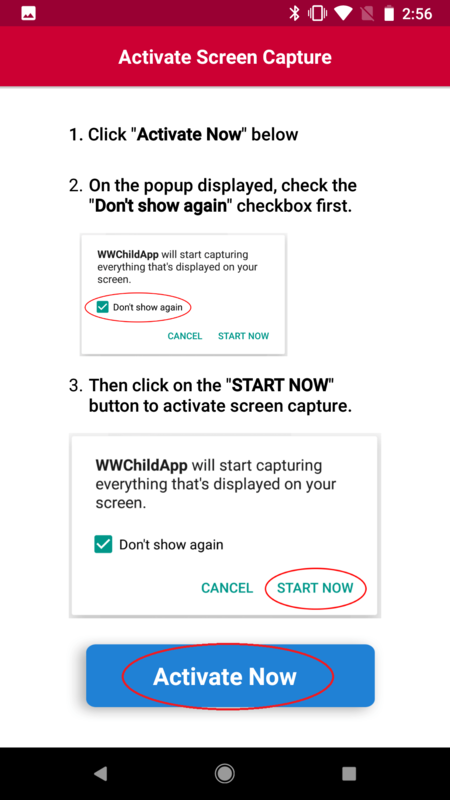 If you have an older version and need to update for Android Screenshots and Last Known Location, follow the instructions below to update the app on the child's device. Please ensure that you are installing the app on the same device. 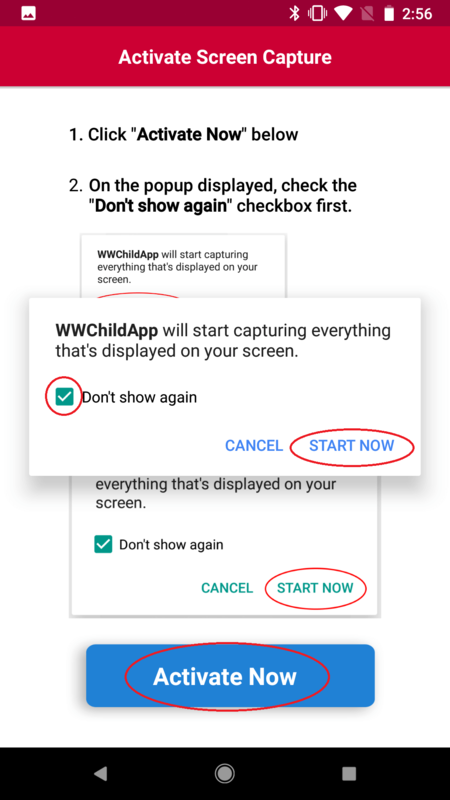 From your child's device (monitored device), enter the URL below into the Google Chrome browser. 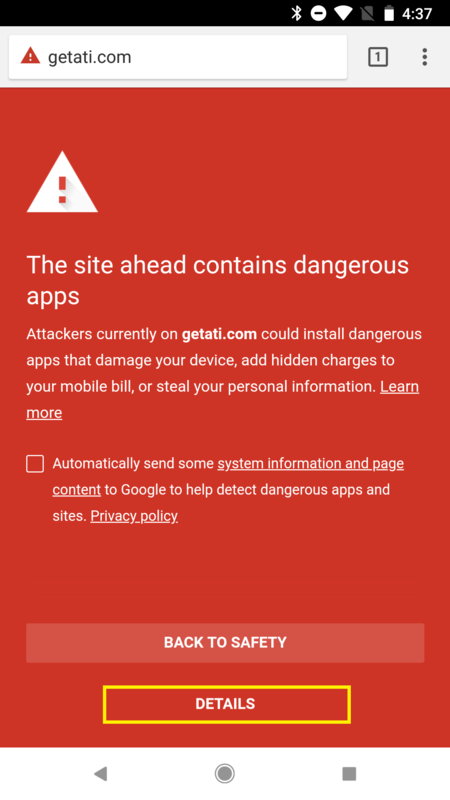 You will see a red screen that says "The site ahead contains dangerous apps". 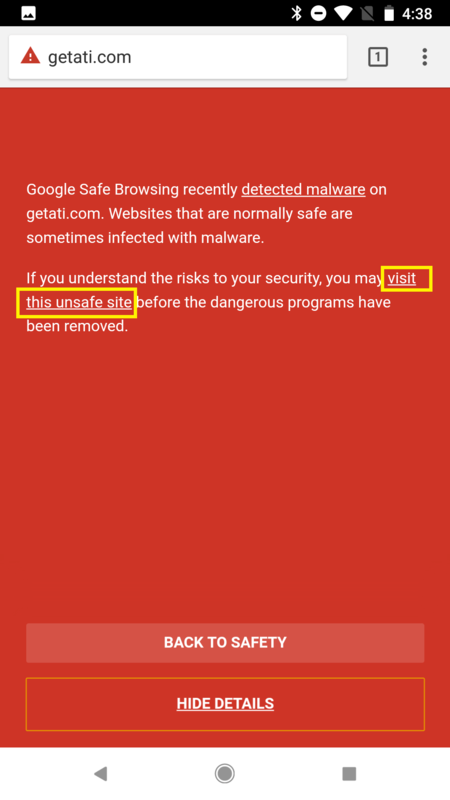 Do not worry; click “Details” at bottom of page and then on the following page click "Visit this unsafe site". Once page loads, click the download button. You will then be asked to click "OK" then "OPEN". If you miss the window to click "Open" on the screen, you can find it by swiping down from the top to open the notification drawer. 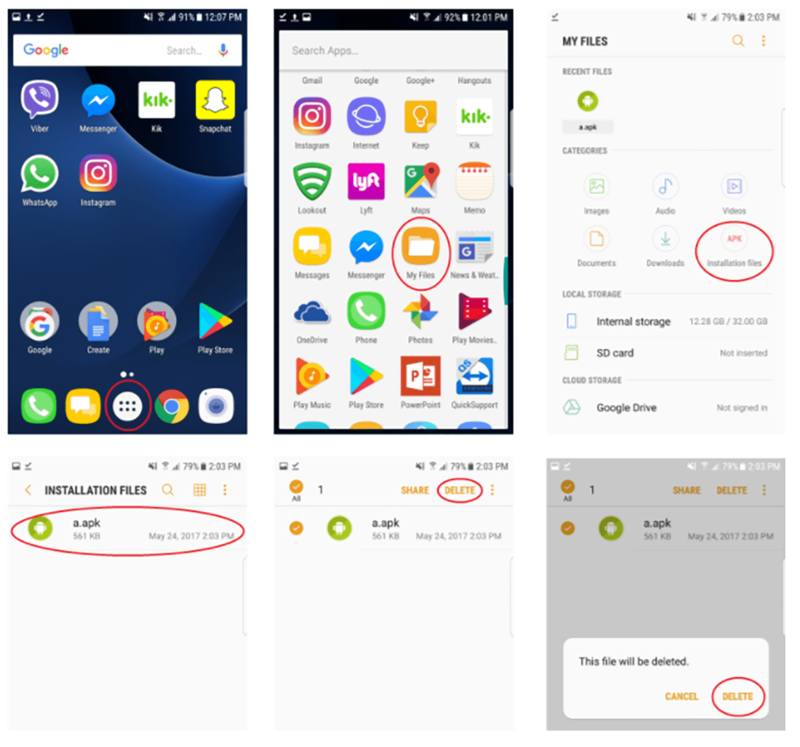 After completing these actions on the child's phone, please come back to the parent device (this device) and click next above for instructions. 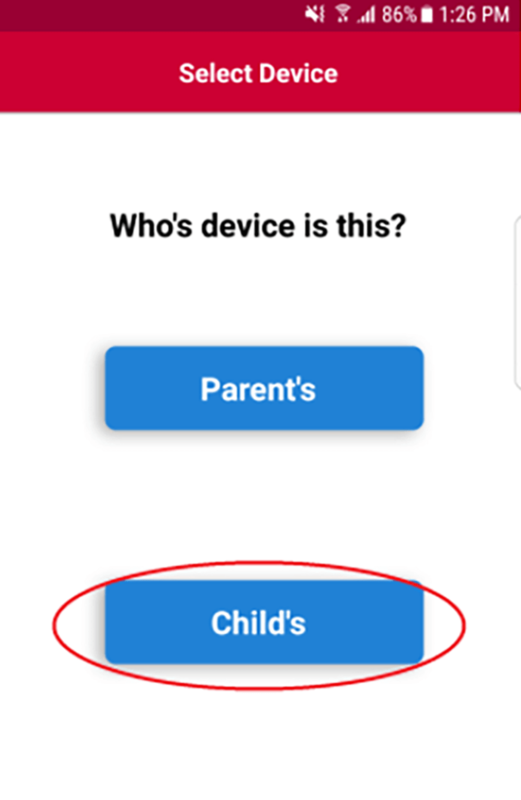 If prompted on child's device, select Settings and toggle Unknown Sources to ON from the Lock Screen and Security page. 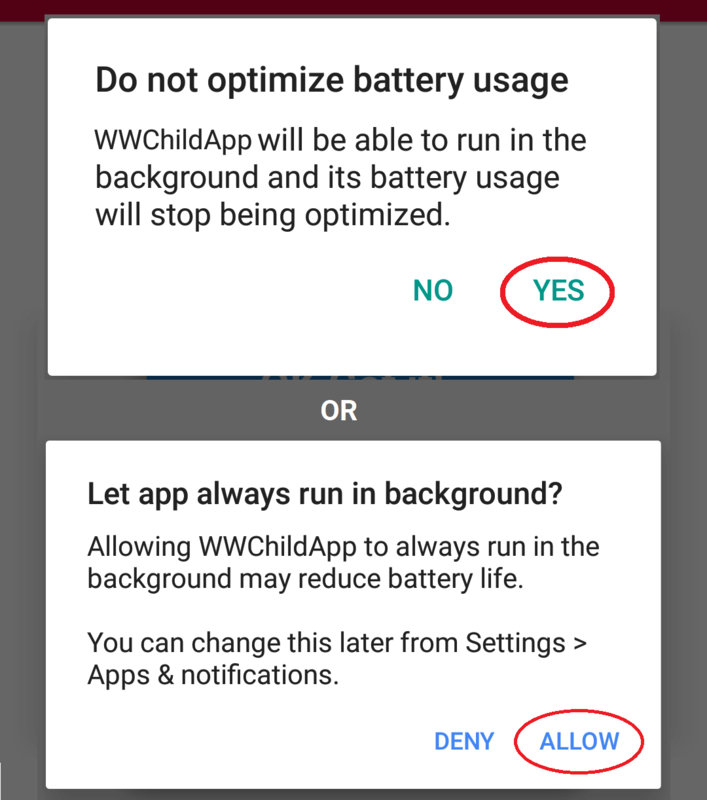 Click OK at the prompt to allow installation of the app. 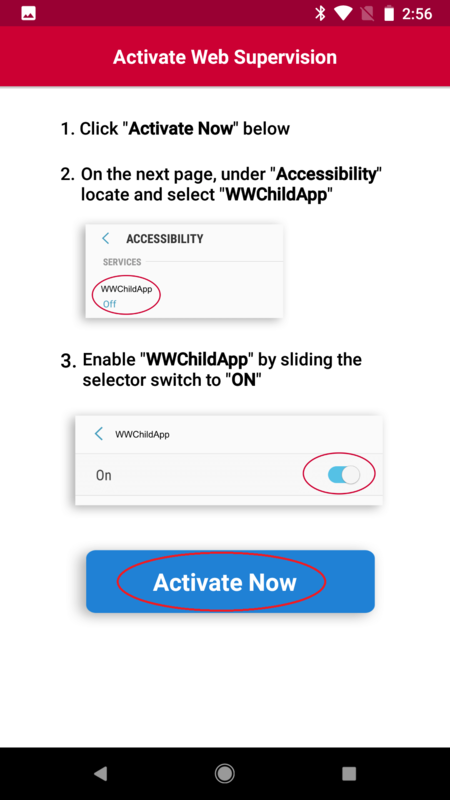 You'll be prompted to enter your WebWatcher username (full email address) and password, then click "Log In"
On the "Activate App Supervision" page, click "Activate Now" and then select WWChildApp and toggle to ON. Click OK at the prompt. 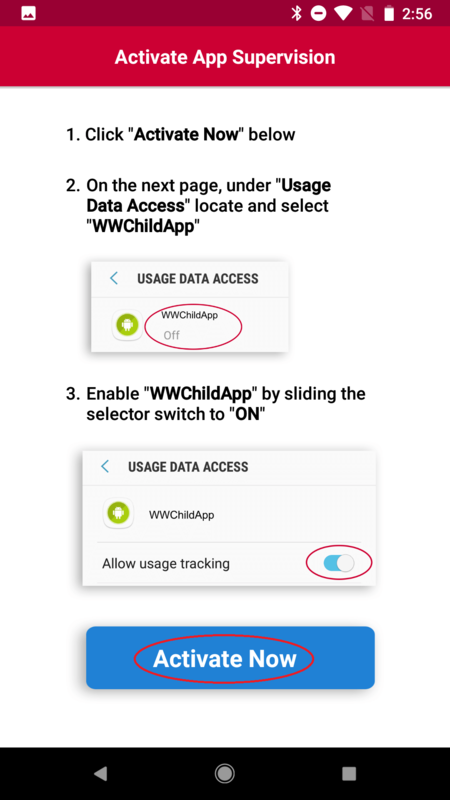 On the "Activate Web Supervision" page, click "Activate Now" and then select WWChildApp and toggle to ON. Click OK at the prompt. 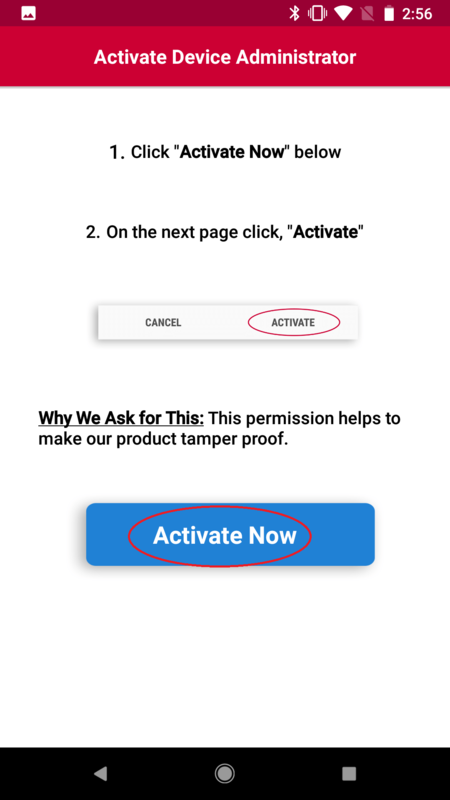 On the "Activate Device Administrator" page, click "Activate Now" and then select "Activate"
On the "Activate Screen Capture" page, click "Activate Now"
IMPORTANT: On the popup message "WWChildApp will start capturing everything that's displayed on your screen" check the box for "Don't show again" and press Start Now. 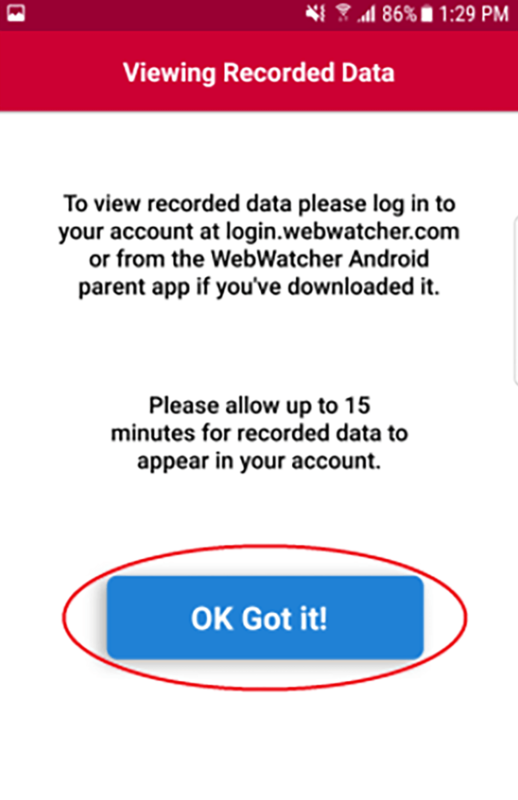 Very Important: if you see either popup click "Yes" or "Allow"
On the "Viewing Recorded Data" page, click "OK Got it!" after reading the page. 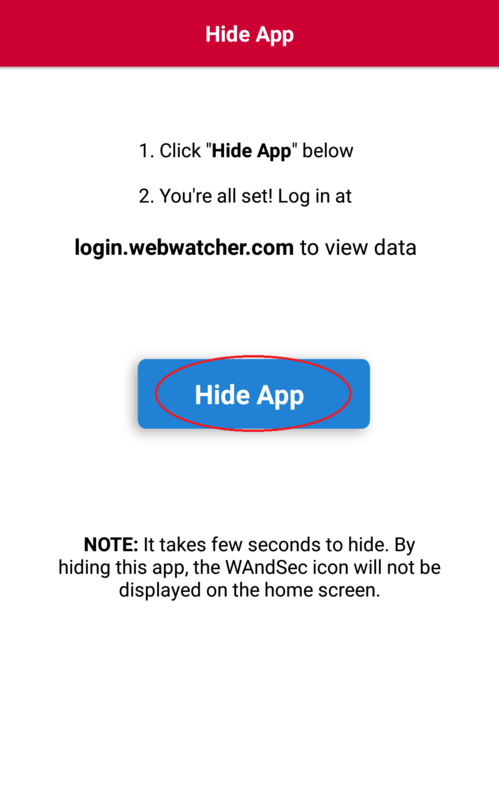 On the "Hide App" page, click "Hide App" to hide the app icon on the device. 1. 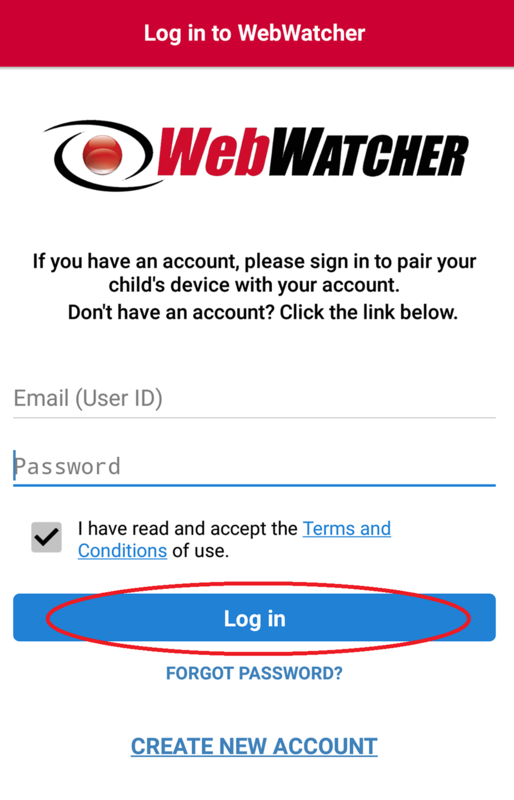 Close out browser page: Remember to close out browser page on child's device with http://getwebwatcher.com. You may also consider clearing browser history. 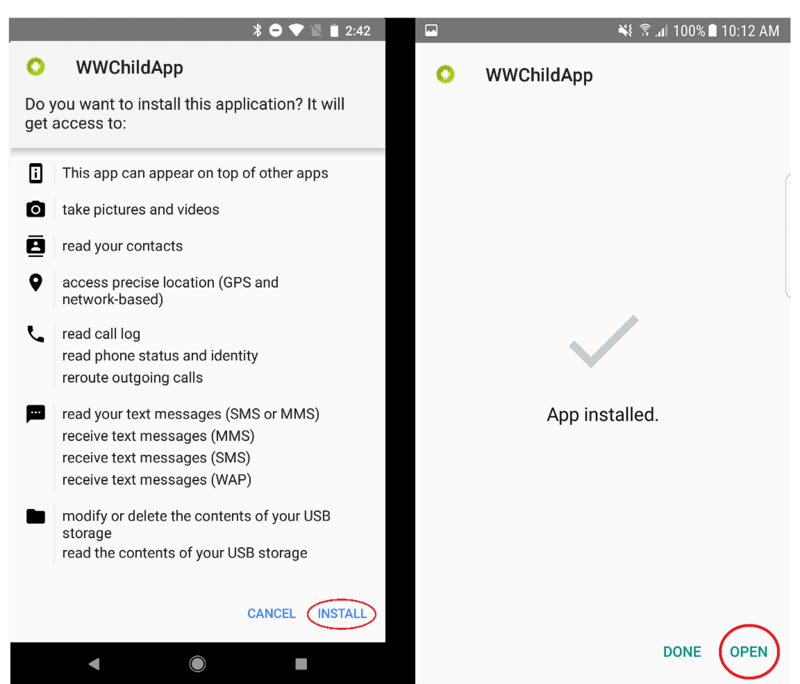 Select My Files > Installation Files > Long Press wwchild.apk and select "Remove"
Select Downloads > Long Press wwchild.apk and select "Remove"
Select Documents > Long Press wwchild.apk and select "Remove"